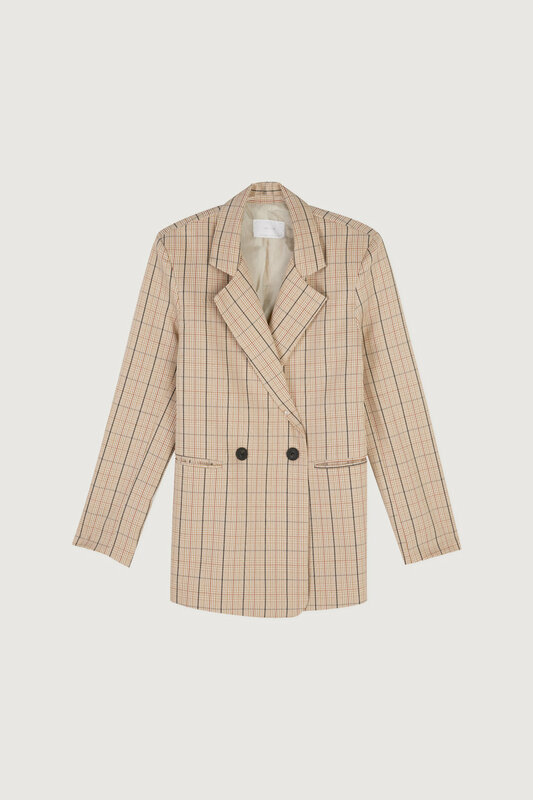 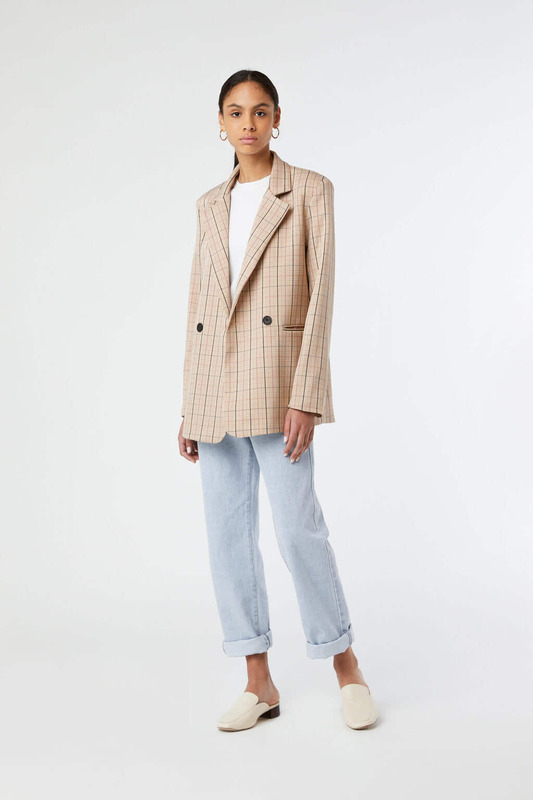 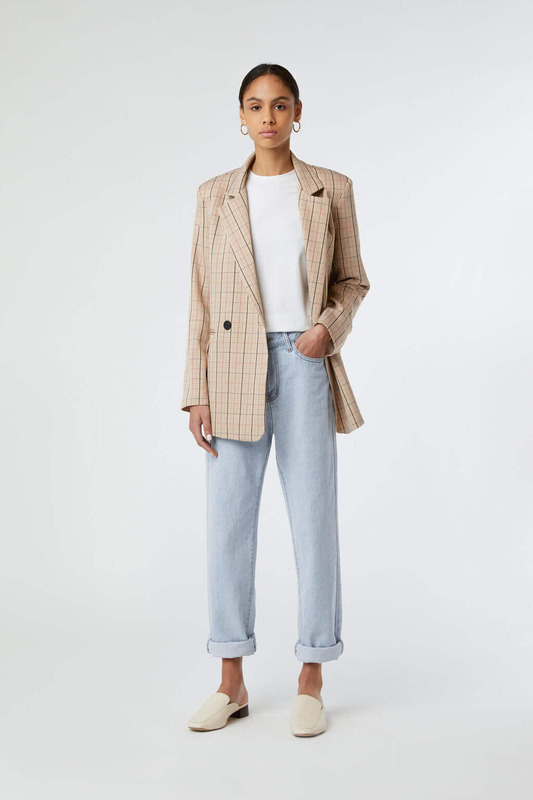 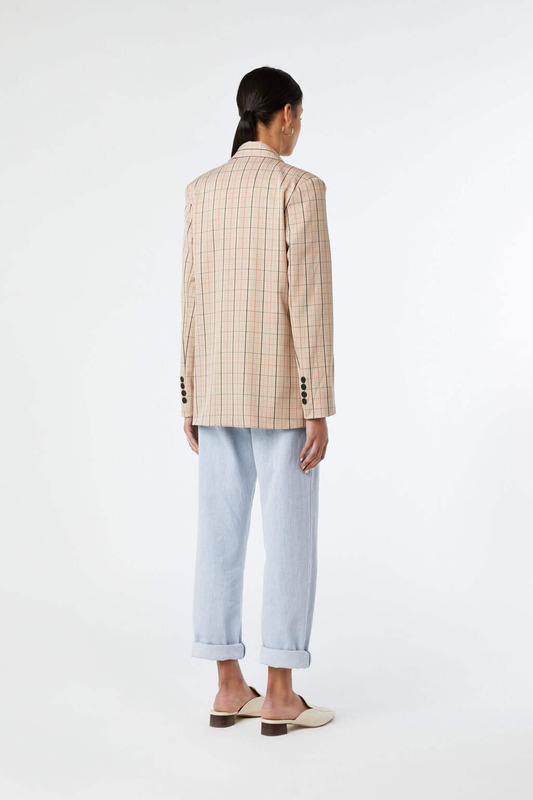 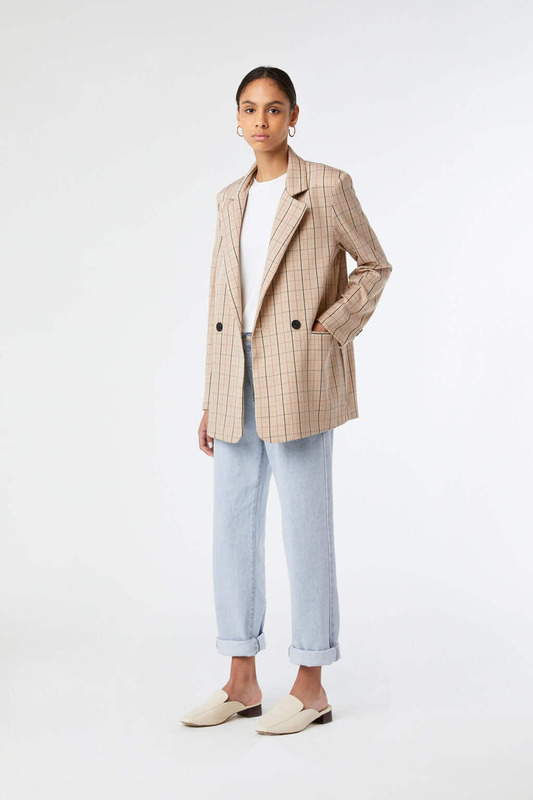 A classic silhouette to add to your essentials, this plaid blazer is patterned with tan, burnt orange and black checks to easily style with any shade in your wardrobe. 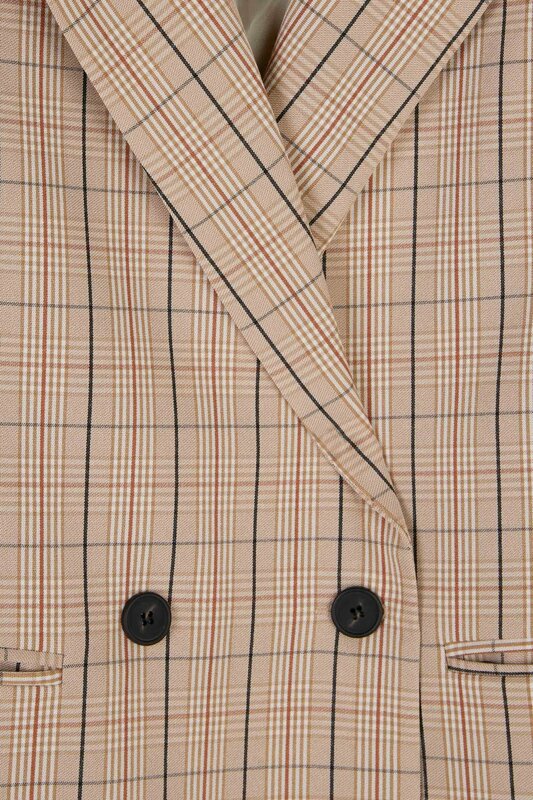 Detailed with a double-breast button closure, a notched lapel collar and side pockets for added function. 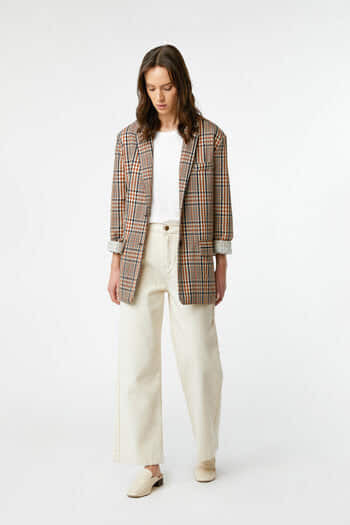 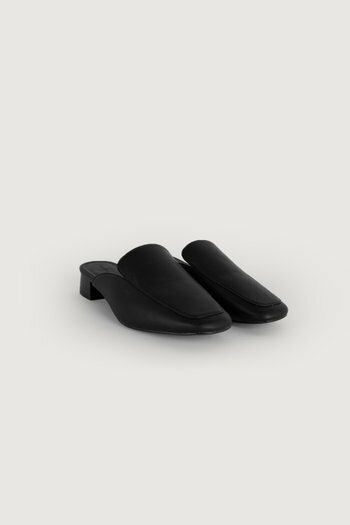 Wear yours from office to your off-duty, style it with cream trousers for work then switch into black jeans and a lustrous tank for a sleek look at dinner.